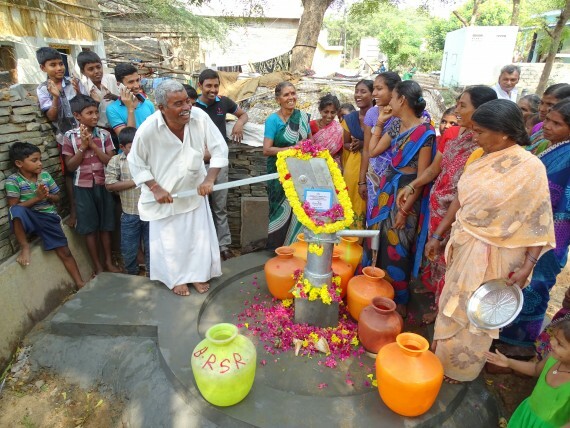 “My whole-hearted thanks to the sponsor of this well for helping our poor community with a safe drinking water. Before this well, though I am old aged I was walking about 3kms to get water from the agriculture well, as our previous water source is a small water tank from which our entire village people are not receiving sufficient water. At this critical time our donor Chartwells provided our entire village people sufficient water regularly. Now it is convenient to get water from the established hand pump bore-well. Many thanks to Chartwells and many thanks to drop4drop”.